Of the 630 scientific peer-reviewed articles that have been published about black seed oil benefits, one fact is clear: there are few issues that it cannot help the body overcome. With virtually no side effects, the healing prowess of black seed is actually quite unbelievable and it boggles the mind that most Americans have never heard of it! Strains of bacteria and viruses that are antimicrobial-resistant are becoming virtually impossible to treat; including HIV, staphylococcal, tuberculosis, influenza, gonorrhea, candida, and malaria. Between 5 – 10% of all hospital patients develop an infection from superbugs. Next to oil of oregano, few things on the planet can boast this type of potency to microbes! The study uncovered that it was especially effective against multidrug resistant strains of P. aeruginosa and S. aureus. The key to understanding why black seed oils benefits the body in this way is because it is rich in 3 key natural chemicals: thymoquinone (TQ), thymohydroquinone (THQ) and thymol. Each compound showed 100% inhibition for the thirty pathogens evaluated. What this study tells us is that Nigella sativa oil carries a very unique chemical constituency that is not only effective individually, but more importantly also collectively. Essentially proving that fungus and molds cannot exist in the presence of these phytochemicals, it is no wonder why researchers are seeking to solve the superbug problem with the mighty black seed! It is also used in food flavorings, perfumes, mouthwashes, and even cosmetics. Thymol is among those pesticides for which EPA believes a broadly reduced set of generic data requirements is appropriate for reregistration. The Agency, therefore, has waived most generic data requirements for thymol with the exception of studies that are considered essential, including additional information about chemical purity, and product chemistry studies. 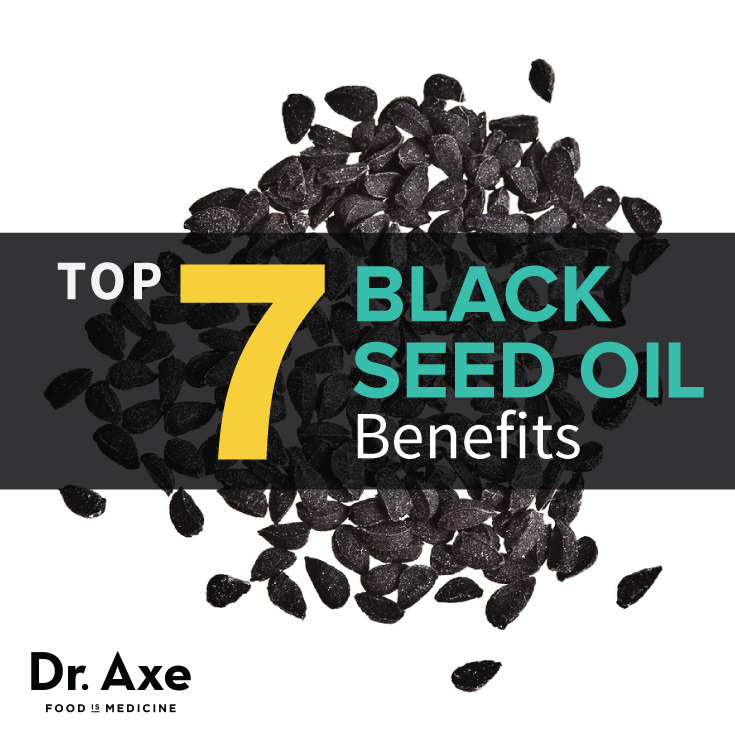 Of the many ways that black seed oil benefits the body, the 6 that stick out in the scientific literature its ability to help prevent cancer, diabetes, obesity, hair loss, skin disorders and infections like MRSA. Explained in a recent article published by the Journal of Endocrinology and Metabolism, researchers from the Indian Council of Medical Research highlight that black seed oil “causes gradual partial regeneration of pancreatic beta-cells, increases the lowered serum insulin concentrations and decreases the elevated serum glucose.” (13) This is actually quite profound because Nigella sativa is one of the few substances on the planet that is suggested to help prevent both type 1 and type 2 diabetes. Probably one of the most unique black seed oil benefits is its uncanny ability to help restore hair loss. No one quite understands why it happens, but it’s not too hard to guess that it has something to do with its powerful antioxidant and antimicrobial properties. By strengthening hair follicles, there is very good reason to see how black seed oil can help promote strengthened hair roots. For example, in a recent study conducted by Iranian researchers, Nigella saliva was found as effective as the skin cream Betamethasone in improving quality of life and decreasing severity of hand eczema. (19) When you consider that black seed oil has virtually no side effects, the benefits of Nigella, in fact, far exceed medical intervention! Of all the superbugs that black seed oil can kill, Methicillin resistant Staphylococcus aureus (MRSA) is one of the most important. MRSA is plaguing hospitals and nursing homes across the globe because ordinary staph infections are becoming resistant to generic antibiotics. The elderly population is especially at risk because it is generally associated with invasive procedures such as surgeries, intravenous tubing, and artificial joints. (20) Primarily due to weakened immunity, the growing population of senior citizens has made MRSA a global public health risk. With all of these health benefits, I cannot think of one reason why everyone on the planet shouldn’t have black seed oil in their medicine cabinets! My favorite brand is Amazing Herb Cold-Pressed Black Seed Oil. This entry was posted in Uncategorized on November 19, 2015 by The Health Coach.